Accordance 11 is now available. I’ve already highlighted some of the new features, as well as posted about the new Collection upgrades. 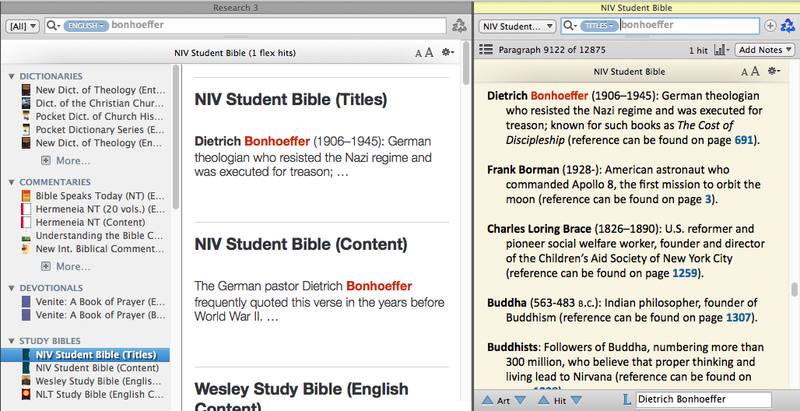 Commentaries, cross-references, thematic topics, and critical apparatuses from your library all show up instantly. And–this is especially cool–by hovering over the book cover of a commentary or apparatus, you can see the content. The Instant Details in the image above (the pane at the bottom) shows the contents of the BHS apparatus for Exodus 20:1, just by my hovering the cursor over the apparatus image in the Info Pane. I’ll post more again soon. 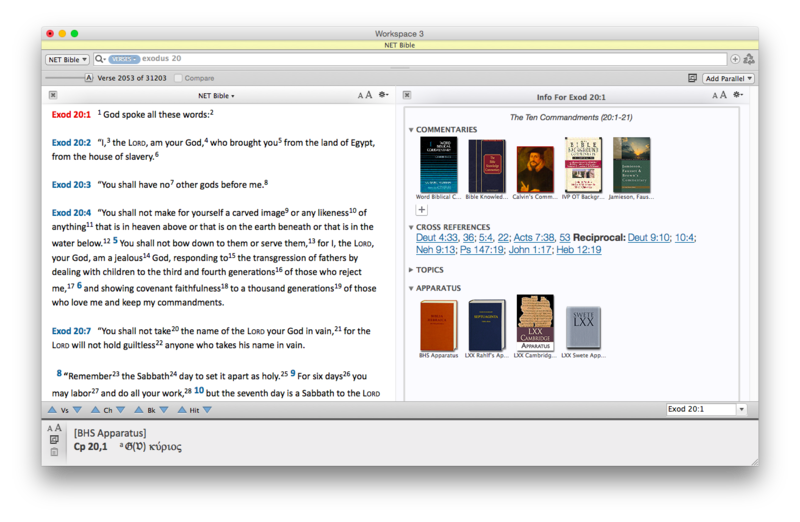 I’m already making regular use of the new features above in my weekly sermon preparation. Thanks to OakTree Software, which allowed me to beta test Accordance 11 and has given me a review copy. More to come.